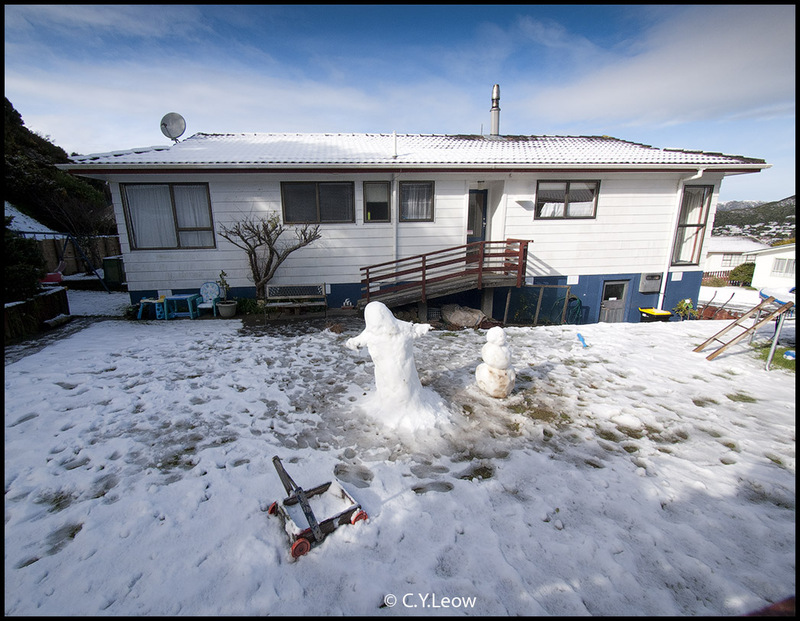 Man Behind Lens: We Got Snowed In!! I took half a day off yesterday because it started snowing! Just as well too, by the time we got home; the falling snow got heavier and heavier. By 6 pm we knew we will not be able going to work tomorrow! Why can't we go to work? This is what greet me when I open our French sliding door this morning. Notice the partially snow cover road? 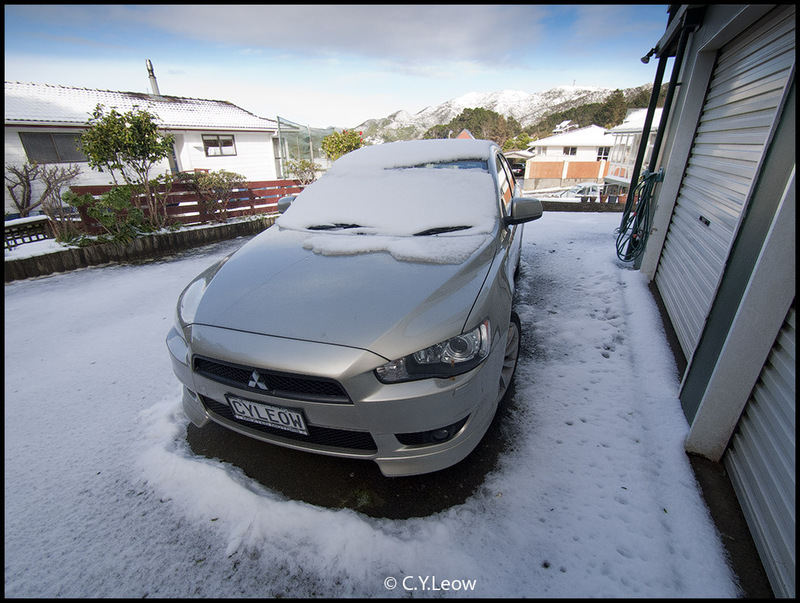 That is my VRX outside our double garages, the car was completely covered with the white stuff last night; this was taken at 10.30 am. Why did I not park the car in the garage? 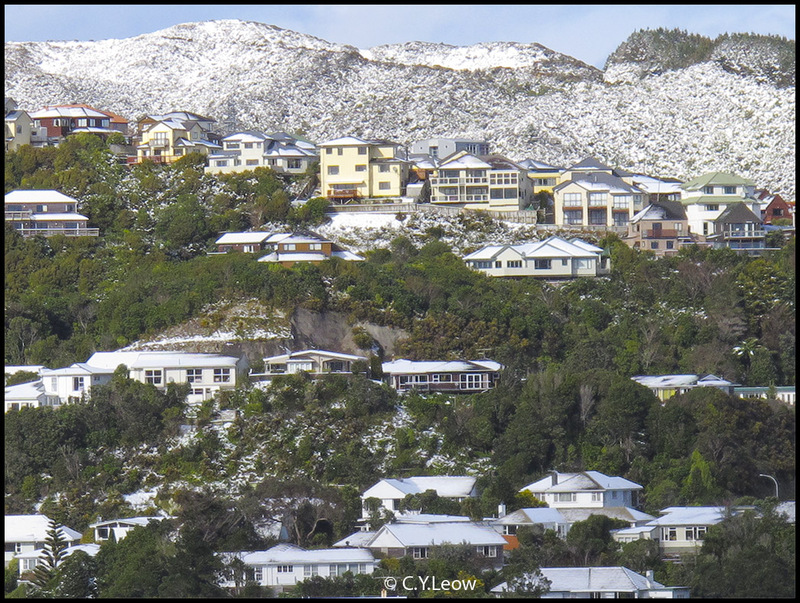 Homes on the upper part of Karori valley surrounded by snow covered hills. This shot was taken with the digital zoom of the Canon G12 point and shoot. A panoramic shot of Karori valley at 11 am, three pictures were shot with the G12 and stitched together in Photoshop CS5. This must be a rare sight. 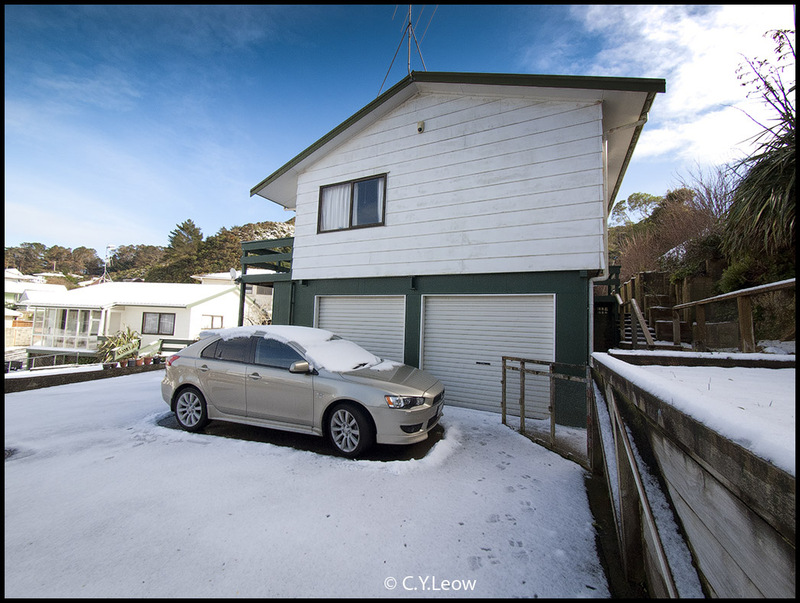 Heard report that it snowed in Auckland too! Great looking photos, as always, Mr Leow. Will you ever have time to teach your photography skills? Paid tuition of course. Hope your fridge is fully loaded! wow! nice photos! It`s so exciting! It`s really nice to see photos that capture the essence of "the first snowfall in 50 years".I think it`s got something to do with global warming. It was snowing here at 5pm. 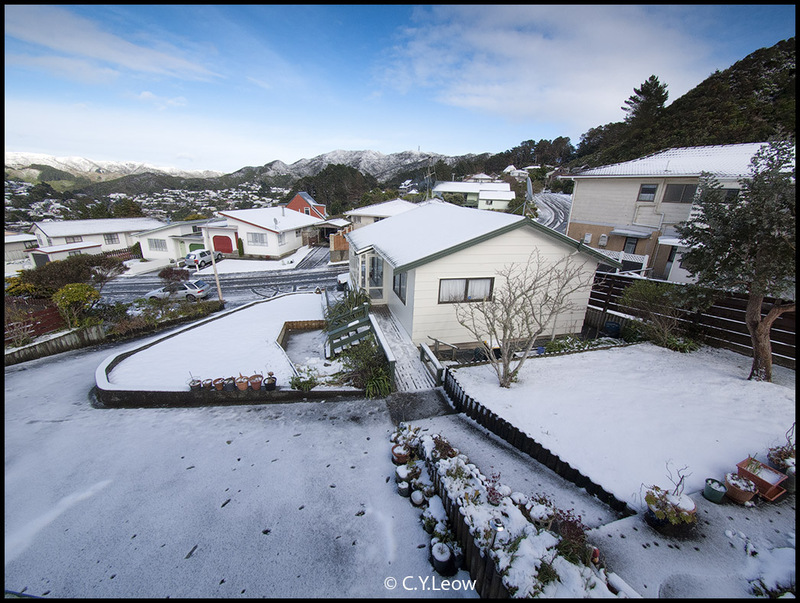 Ruby Chan commented on my link via Face Book..
Ruby wrote "CY you took some beautiful snow photos, Karori look just like winter Christmas we never had!"